Chelsea are reportedly set to lose two of their younger stars in what is expected to be a busy summer for the club with Antonio Conte’s arrival. According to The Express, young midfield ace Kyle Scott has handed in a transfer request having grown frustrated over his lack of first-team chances. Scott isn’t the first and is unlikely to be the last youngster to be forced to consider his options away from Stamford Bridge, despite the fact that their youth teams continue to impress. However, having failed to feature for the senior side up to this point, it is debatable as to whether or not he has done enough to earn that opportunity as the management staff evidently haven’t seen enough from him for such a promotion to be warranted. 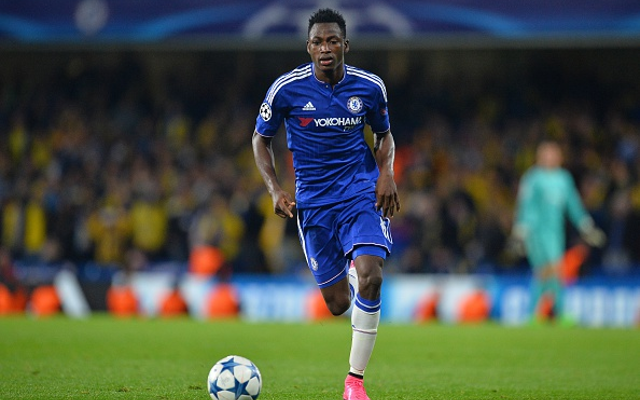 Elsewhere, The Express have also reported that Baba Rahman could be set for a switch to Fenerbahce, as the Turkish side have identified the defender as a possible replacement for the out-going Caner Erkin this summer. Having joined the Blues in a £14m deal from Augsburg just last August, it will be a disappointing development for the 21-year-old to see his Premier League dream come to an end so soon. Nevertheless, it is unclear at this stage as to how much truth there is in the matter, as ultimately it would make sense for Chelsea to avoid making any decisions in the transfers market prior to Conte’s arrival at Stamford Bridge. The current Italy boss will begin his new role after Euro 2016 has concluded, and as with any other manager in any other job, he will be expected to assess what he has available at the club already first before delving into the transfer market if necessary.